Who doesn’t love chocolate??? 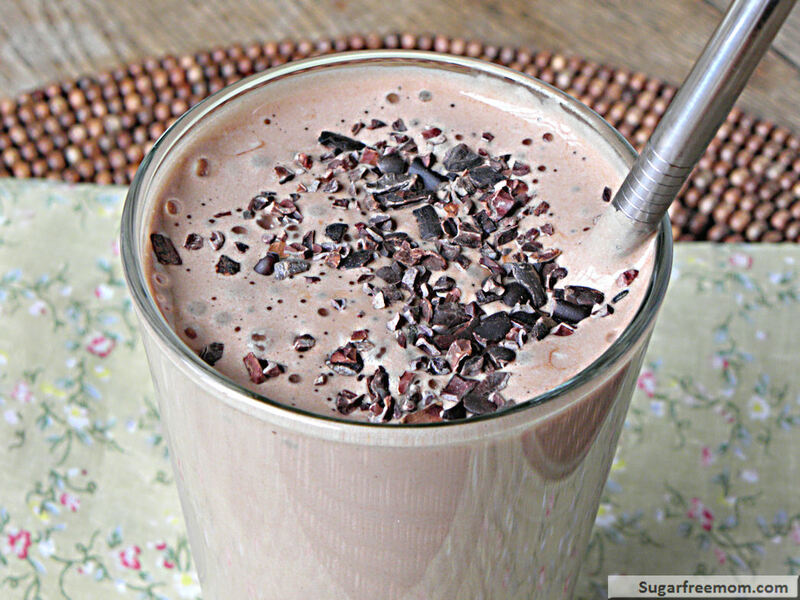 Sneaking it in for breakfast feels almost sinful BUT this is NOT your average chocolate milkshake here!!! No guilt at all in having this for a meal or snack!! I just finished up my can of Whey Protein Powder that I bought from Whole Foods and this was my last recipe including it before I buy more or try a different brand. I shared the brand before in this post so check it out if you want to know more about what I’ve been using. Before you check out the ingredients in this smoothie below I need to tell you a big secret I’ve been keeping. I absolutely HATE, detest, can not stomach eating cottage cheese, I will surely gag. In fact it is almost difficult to spoon it out to use in a recipe. BUT it is so super low in fat when you buy the low fat kind and super high in protein so I knew I must start incorporating this healthy ingredient in some recipes. 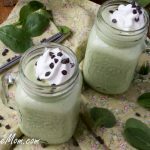 This cottage cheese is what makes this smoothie so SMOOTH and thick and creamy!! Do you want to know the best part??? NO COTTAGE CHEESE TASTE IS NOTICEABLE AT ALL! Trust me, I would NOT lie to you!! I first experimented with cottage cheese in my Pumpkin Vanilla Smoothie, but used only a 1/4 cup. It was terrific so I increased the amount and added the protein powder for this smoothie. 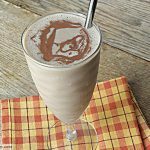 If you are looking for a way to increase your protein and enjoy a chocolate shake that doesn’t even taste like a protein powder shake this is the way to go. My friend Katie over at Dashing Dish has some fabulous creative smoothie combo’s with cottage cheese. You can check her Giant List of Protein Shakes here. I just added a few cacao nibs on top for a little crunch. They are unsweetened and do not have a bitter aftertaste. I found them also at Whole Foods market but I am sure you can also find them online. 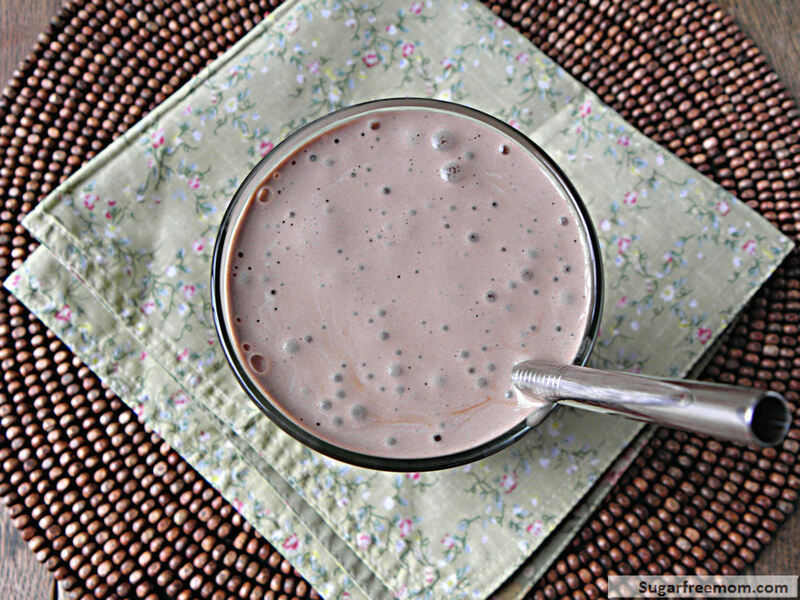 Add your almond milk, cottage cheese and cocoa powder to your blender first. Once well blended add the rest of the ingredients to your blender. Taste and adjust sweetener if needed. Enjoy immediately! Almost a year ago I started having trouble with weakness/feeling jittery and have had to incorporate a high protein diet. Your high protein shakes have been a God-send for me! I eat one every day for lunch. 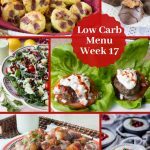 Thank you for publishing new recipes!! Can’t wait to try this one! Awe thanks, I’m so glad! I know Theresa but honestly you will truly love this!! I just made a smoothie similar to this one that called for cottage cheese, but I didn’t have any (and I really didn’t like the idea of putting it in my smoothie…), so I just subbed in Greek yogurt instead. Seemed more logical than cheese, haha! I only like my cottage cheese alone or with cucumbers and a bit of salt and pepper, not with sweet stuff! AWESOME – I love cottage cheese – but you don’t taste it here. I bet my husband would even like this!!! I would never have guessed that this one is made with cheese, but I am glad that you can’t recognize it while you drink it. I will give it a try. Thanks for sharing. What brand of unsweetened whey powder do you use? I am always looking for great recipes…just found your site. Thanks! Under the second picture I shared the link to the post for the brand and it’s nutrition info. I’m soo excited I’m jumping up and down in my chair!!!! =) This sounds amazing and I’m making it for br’fast. What could be better? I cannot imagine…and I love cottage cheese. Thanks so much for sharing another winner drink. 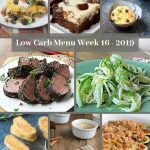 I sure do LOVE your recipes – keep em comin! Well bless you! 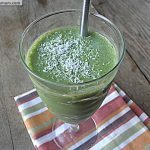 I HATE cottage cheese too but it is so good for you – never thought of putting it in a smoothie! 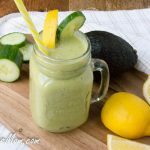 I can’t wait to make this and add it to other smoothies too! I put frozen banana or strawberries in my protein shakes. Makes it thick like a real shake. So good!!!! I only use almond milk or low fat milk. I will have to try this. I use ricotta cheese instead, it has less sugar than cottage cheese. I regret FOR you that you don’t like cottage cheese. Be that as it may, it is a wonderful addition to oatmeal. Stir in about a half cup into your mix and then cook. Low taste. High protein. Also good to replace expensive fat free ricotta. Just add some garlic and Italian herbs. I can’t do any dairy do you have any great substitute ideas for cottage cheese ? I specified the dairy free smoothies above for you. Also you could try a coconut yogurt in place of the cottage cheese or just use coconut milk. Nutrition info will change. Since you mentioned looking for a new protein powder I wanted to share the one I use and love. It is yummy and not chalky at all. https://www.omnitrition.com/kathycrutchfield. If you want more info on it you can email me at kathy_crutchfield1@yahoo.com. I would love to share with you about the vitamins and supplement also. They have made a big difference in my families life. =). What can you use as a sweetener if you can’t use anything “artificial” even Splenda, sucrose, etc. The doc has told me even to watch out for stevia and it has a bitter aftertaste. I’ve been told Aguave isn’t much better than honey so use honey bec it’s natural. What’s your opinion. I haven’t even seen her recipe.Furthermore If I had I would have mentioned it. 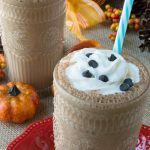 My hubby loves cottage cheese and its always in my fridge and I have used it in another one of my smoothies as well: Pumpkin Vanilla! 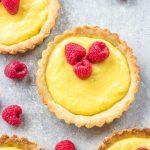 I always give credit to another blogger and never steal content or recipes! I would love to do this next week for my breakfast. Looks soooo yummyyyyyy! But just one question… theres some protein shakes that are so HIGH in protein that doctors recommend not having another food at brakfast just that. Well, thats my question.. can i have another thing like bread or eggs, or is gonna be too much? This smoothie is quite filling I doubt you’ll really want anything else with it. It is super high in protein as well. But I’m not a doctor so you may want to ask yours. I just lost 20 lbs and have about 10 more to go, I need to switch it up to stay on my plan. This should help. And as a vegetarian, I am always looking for a new idea. Thank you! Delish! 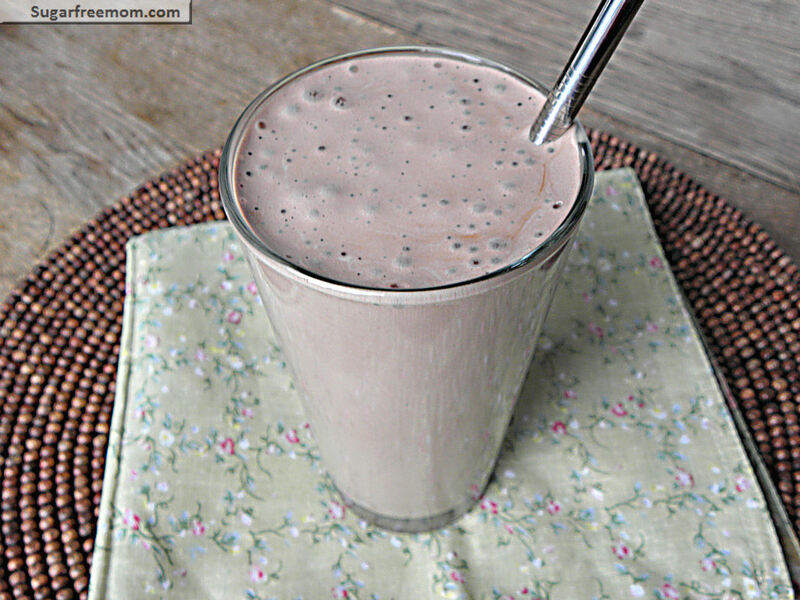 I used unsweetened chocolate almond milk and no sugar chocolate whey! Looks delicious! I don’t have any Stevia. How much honey could I substitute? Really up to you, try 2 tbsp, taste it and see if you need more. Thanks! I made this today. I used 1 tbsp honey and half a banana for the sweetener. I also made one for my 18 month old daughter substituting vanilla yogurt (I ran out of cottage cheese), 1 tbsp of the cocoa instad of 2, and half a banana. Needless to say it was her first chocolate smoothie and she loved it! Came across this as I was looking for some low-sugar options for breakfast that would still satisfy my chocolate need. While it was delicious, I decided to compare the cottage cheese vs. plain old low fat greek yogurt. While the yogurt was slightly higher in calories, it had twice the amount of protein as the cottage cheese and only a quarter of the sodium. So folks should keep that in mind if they also need to monitor their sodium intake. Any milk you like is fine. Hi – I was wondering if it matters if the whey protein powder is unflavored or vanilla? No it fine’s if it’s different than suggested. 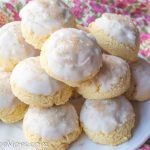 Great recipe, which I found to see if others were doing the same as me. 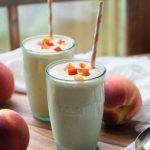 I too make cottage cheese smoothies as I low carb, and they are great. Tip: I make zucchini/courgette spaghetti, which leaves the moist core of the zucchini. I chop these up and freeze them, and when you pop these in the cottage cheese smoothie, you get a great nutritious additive of fibre with no extra taste that will make it ice cold and delicious and help thicken it up. Tip2: Adding a small piece of beetroot will colour the smoothie pink (don’t use if you are making the chocolate version). Tip3: adding psyllium husk powder or Fybogel will also add thickness to any shake. There’s so much you can add in these without adding sugar. I was truely amazed! I never would have thought that it would have turned out so smooth and creamy! Yum! No lumps from the cottage cheese and way more chocolaty than with the protein powder alone! I threw in some spinich for extra nutrition and couldnt taste it either. I use Slimfast powder instead of Whey. A lot less calories and Carbs. Absolutely delicious!! YUM. I tried this morning and what a different breakfast for me. Normally I have an egg beaters based breakfast but am very tired of those. I only used half of the sugar substitute and it is a bit too sweet for me. I will have again.